Has anyone tried "Gravelmap" https://gravelmap.com/ . Just found it today. Trying to figure is all out. One dirt/gravel type road that looks interesting is Warrior Cemetary road off of Blackburn Rd. I am just trying how to figure out a route to get me there. It is over the Franklin Ferry bridge to get there, so thats not a problem. The problem for me is how to show the route from "where I am" to "where I want to go". I've used gravelmap in the past, it's great if you don't mind taveling outside of bham a little ways. this is a short multi step process to get you to the START of that gpx track you downloaded from gravelmap or my attached file here on mo-al. 3 once your arrive at the start of the gpx, you can turn off the turnbyturn navigation you were using, and just follow the track manually or start navigating that track. i prefer to NOT use all-in-one routes for this kind of scenario because relying on an all-in-one that has been guesstimated by a computer usually means there are issues once you leave the warm comforts of home to go out and use that route. if you use KURVIGER to do the 1,2,3 process above, it's pretty easy / simple. keep in mind I"m trying to suggest the easiest possible solution, not always the most feature packed. for instance, kurviger can't create routes (turn by turn nav) while offline (offline= no cellular / wifi service), but if you have loaded the gpx's prior to leaving, you're fine. kurviger can use MAPS while offline, and those maps are free download. make sense ? like a potato in a blanket ? yep, good! KMZ ( Keyhole Markup Language, zipped) files can contain a good deal of info for mapping operations. Let's run down a couple of simple scenarios. 1- you just want to share a MAP OVERLAY or PICTURE OF A MAP that you snapped and/or georeferenced and/or downloaded from some genius web service. great, they usually use KMZ for this type of file, and google earth, google my maps, similar mapping programs can import and display that KMZ file for you. you can even convert it into a route/track if you need, but that's pretty lengthy/complicated compared to just geting the idea of what KMZ's can do for you. cool, email, bluetooth, wifi, or whatever means you have will transfer that file to whoever else wants it. then they can display it on their phone/tablet/gps/computer/whatever and see what you wanted to share. 2- you want to capture everything on your mapping programs screen. all the waypoints, tracks/routes etc will be zipped into one neat little file that you can share. as an example, I've attached a KMZ file that you can download and view on your phone/tablet/gps/computer. That is what I wound up going. Imported the GPX file then used another program to convert it to a KMZ so Google earth could give me a complete route, road and dirt. Worked pretty good...didn't get lost anyway. Weird thing was I have been up and down that paved road many,many times. Never noticed the turn off for it. Almost missed it yeasterday...would have if it wasn't for Google earth. 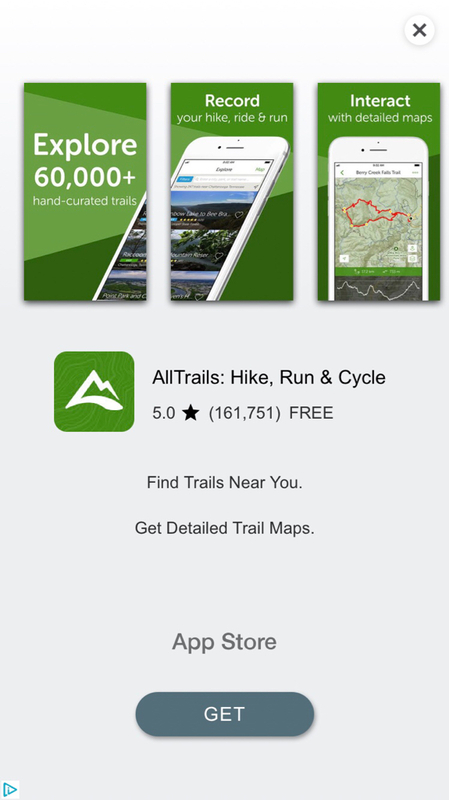 I found a new GPS phone app in hiking/mountain biking. It’s called AllTrails. It will record and save your trails. There is a free and a Pro version if anyone is interested in checking it out for use with dirt bike trails.